Steve Ballmer is worth over $20B dollars and owns the Clippers; I own over 20 bobble-heads and a Clippers T-Shirt. So not too much in common BUT it turns out we share the very same fear – the Fear of Free Will. I recently left a great job that I’d had for a decade that had become a treadmill for me. I’ve been taking time to self-assess and decide what I really want to do for the rest of my (work) life. There are times this is invigorating and exciting, but other times it’s downright scary. I lacked the words to describe this till I took a quick channel surf break during the World Series and encountered Steve Ballmer, the retired CEO of Microsoft, being interviewed on Charlie Rose. I fell out of my chair when about a minute into the clip, Ballmer said how SCARY it was to be in total control of what he spends his time doing. When he worked at Microsoft, his job gave him his identity and he always knew what he was supposed to be doing. There was comfort in NOT having freedom over your own time: the Fear of Free Will. WHOA – Steve Ballmer is put together just like me! 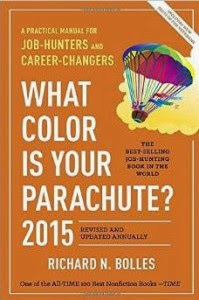 Unfortunately, I can’t buy a pro sports team to fill my time, so I did the next best thing – I bought a copy of the classic career-guidance book, “What Color is Your Parachute”. Turns out there’s a reason the book’s been around since 1970 – very useful, practical read. They speak of the fear of free will as a choice between pursuing your dream work as a choice between duty and excitement. If you feel obligated to have a job, you’re going to get what you’re looking for – fire up the treadmill. If instead, you’re willing to fully embrace your freedom to pursue your dream work, whatever it is, you’re giving yourself a chance for you to be the best ‘you’. Turns out this thinking is far from unique. 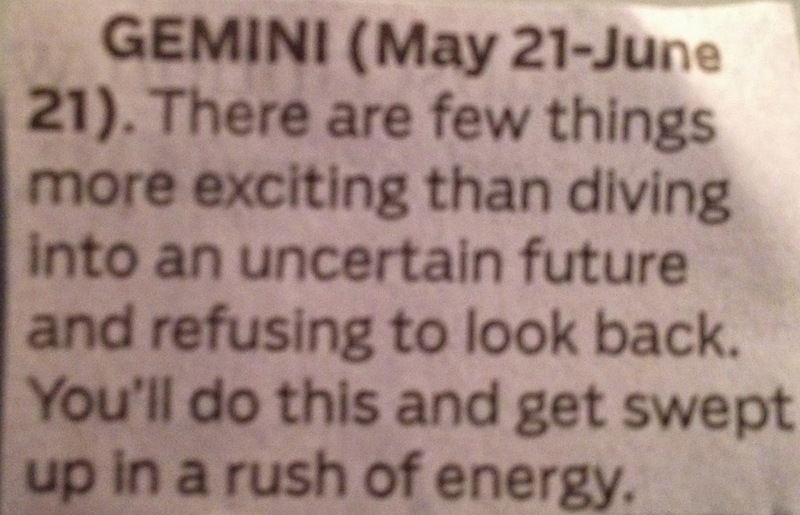 Once my antenna was up, I found Steve Jobs thinking on it on a poster at my daughter’s school; and the ultimate source of targeted wisdom, my horoscope, shared a similar message. What’s this all mean to me? I enjoy reading, thinking, engaging, analyzing, and then sharing: in writing and presentations. Hence, I present to you, Paul Miller, Chief Analyst of Impact Collaboration! I look forward to applying a decade of customer-facing roles in ‘vendor world’ and a decade of time in enterprise IT, brokering solutions for end user computing to help companies navigate the New World of Work, to create a win for the company and its employees.